Joseph’s life could have been spent in the pits. His brothers threw him into a pit, sold him into slavery, and left him to the memory of the dead. But God lifted him up and made him a servant in Potiphar’s house where he was wrongfully accused and thrown into another pit. God rescued him from this prison too and set him as overseer of all Egypt. 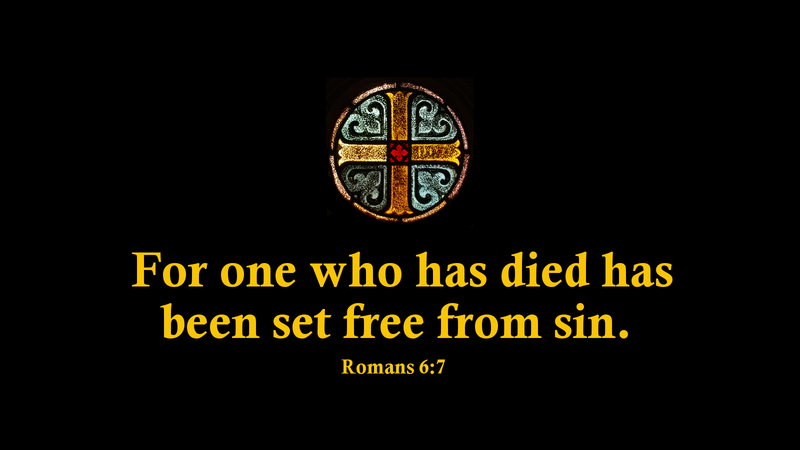 We too have been left for dead, thrown into the pit of sin and death. God, however, sent a ransomer in his Son, and brought us out of the pit. Still, Satan accuses us day after day and would have us go back into the captivity of sin and the pit of death. These accusations can cause us to despair of life. So, we remember that Jesus was also sent to the pit. We confess that he not only “was crucified, died, and was buried,” but also, “descended into hell.” But that pit could not keep him. Likewise, the Lord our God has brought us out of the land of slavery, redeeming us from the slaver and the pit of sin. Having died with Christ, we have been raised from the pits to newness of life. Prayer: Having been baptized into your death, O Lord, help me consider myself dead to sin and alive to God in Christ Jesus. Amen.